This book is a pleasure to read. The title suggests that the material might be dry, but Courtney White’s writing keeps the reader engaged. The journey metaphor, though hard to follow at some points, manages to create a usable framework for the several stories. The journey itself takes the reader through Marin County and The San Joaquin river delta in California. The reader visits an organic farm in New Hampshire and an urban backyard in Holyoke, Massachusetts. On to Logan, Utah, Emporia, Kansas, New Orleans, and a rooftop farm in Brooklyn, New York. The author also spends time close to home in New Mexico, while planning a visit to a sheep farm in Australia. Grass is the title floral character. Fauna include beavers, sheep, spiders, cattle, bees, chickens, and of course soil microorganisms. All of them are partners in the work of soil building. Michael Pollan wrote the foreword. Courtney White’s other inspirations are Aldo Leopold, Wallace Stegner, and Wendell Berry. Like them, she approaches her topic with a mixture of scientific and philosophical analyses. Two other titles on the subject are waiting on my to-read list: The Soil Will Save Us: How Scientists, Farmers, and Foodies Are Healing the Soil to Save the Planet and Cultivating Reality: How the Soil Might Save Us. The author of the former, Kristin Ohlson, also has also had an article published in the April/May 2017 issue of National Wildlife magazine: http://www.nwf.org/News-and-Magazines…. A student in Jody’s class gave her a pot full of paper white narcissus ready to bloom. With the sun low in the sky these days, and the narcissus getting abundant direct sunlight through the back door, the bloom has begun. They are pretty, delicate, and fragrant. One bloom in particular seems to be turned toward the sun. On 12th May 2015 an Amtrak train derailed in Philadelphia. Eight passengers lost their lives. Most of the other passengers were injured. As the details of the crash spread through news channels, many reports featured discussions of an automated system known as Positive Train Control (PTC) which, it is believed, would have prevented the accident had it been in use on that stretch of Amtrak’s route. It is reasonable to believe that with PTC been in place the accident might not have happened. Still, thousands of trains, driven by hundreds of engineers, have safely negotiated that curve without PTC or anything like it. The engineer involved in the accident himself was fully capable of safely negotiating that curve. At the time that the details of this accident were becoming public knowledge I also happened to be reading Nicholas Carr’s The Glass Cage: Automation and Us. A few hours spent reading that book and his earlier work, The Shallows: What the Internet Is Doing to Our Brains are hours well spent. Although it is wise to read his work with one’s critical thinking skills engaged, Nicholas Carr is not a 21st-century Luddite. He would observe that both the Internet and automation have tremendous value from which he and we benefit every day. Nonetheless he does question the value of automation in certain specific applications, such as autopilot systems on commercial aircraft, driverless cars, electronic medical records and diagnostic systems, and GPS systems. Carr begins The Glass Cage by citing an FAA SAFO, or Safety Alert For Operators, issued on 4th January 2013: “This SAFO encourages operators to promote manual flight operations when appropriate.” In other words, commercial pilots should be encouraged to switch off the autopilot system from time to time to maintain their skill in responding to changing flying conditions. He cites examples such as the crash of Continental Airlines Flight 3407 in Buffalo in 2009 and the introduction of GPS navigation among the Inuit residents of Igloolik Island in far northern Canada to support the argument that heavy or total reliance on automation is not necessarily a good thing. As an editor and a wannabe writer I rely on automation and digital technologies, including the on-line Merriam-Webster dictionary, search engines, and sophisticated word-processing software. For all of their power, however, digital technologies can’t replace the very basic knowledge and skills that help me correct poor syntax, recognize when “form” has been typed when “from” is needed, or write a cohesive and coherent paragraph. As a hobbyist gardener I also rely on digital technology to help with some things, such as figuring out why my dieffenbachia plant is failing, researching recipes that make use of garlic scapes, or deciding what native plants to include in my garden plans to attract pollinators. 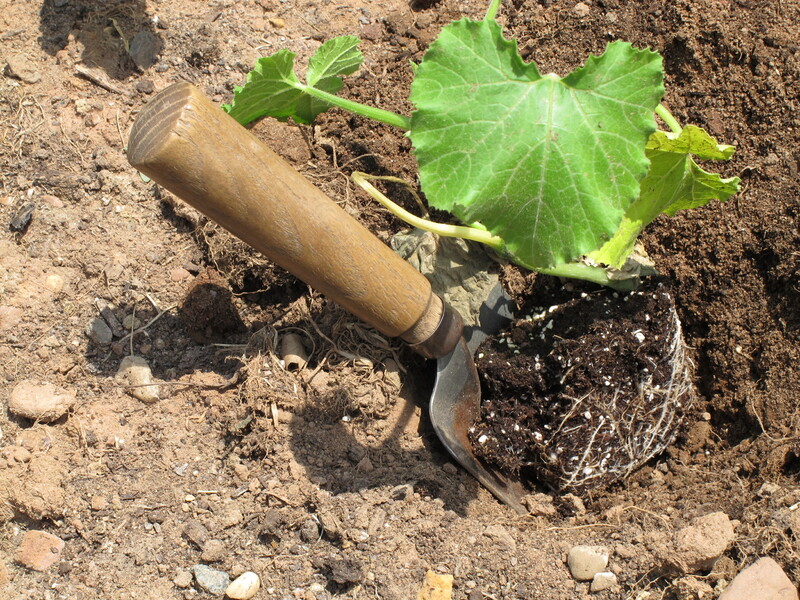 However, even though it might be possible to build a robotic system to till the soil in the spring, turn in the compost in the fall, or pull out the sorrel and lamb’s quarter in the summer, those are still tasks that will be done manually, with tools powered by carbohydrates and not hydrocarbons, in our garden. A manual planting device and an analog squash plant. I am encouraged that among the readers of these posts are people who enjoy physical activity and some forms of manual labor. They know that they need to put away the keyboard and screen, the tablet, or the smart phone, if only for a few minutes, and go out and dig in the dirt, look for the bugs and the birds, or follow the red blazes to the summit. Best wishes to all of you for an active, healthy, productive summer 2015.